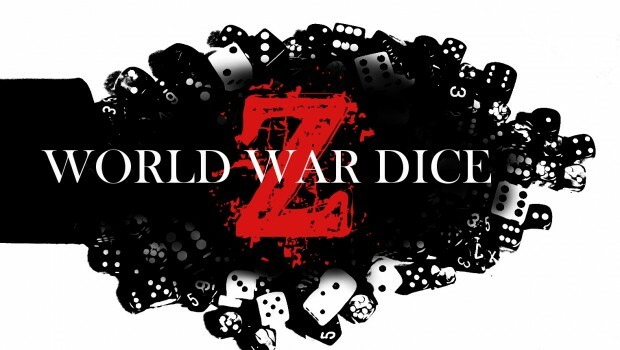 Steve Jackson Games has announced that it will be releasing its much anticipated new dice game, World War Z Dice. In a recent interview with Mustache News, Steve Jackson talked about the upcoming game. The game involves each player shaking a cup containing 13 dice and randomly selecting 3 of them without looking into the cup and then rolling them. The faces of each die have either Infected, Helicopters, or Brad Pitts on them, with different coloured dice containing a different distribution on the die faces. The object of the game is to roll 13 Brad Pitts. If a player rolls 3 Infected, their turn ends and they lose the Brad Pitts they have accumulated on that turn. If the player rolls a Helicopter, that means that the player can re-roll that same die if they choose to continue rolling. A winner is determined if a player rolls 13 Brad Pitts and all other players have taken at least one more turn without reaching 13 Brad Pitts. We here at the Mustache News offices have been playing World War Z Dice and give it a rating of 9 Brad Pitts out of 10. You can find this game at the Steve Jackson Games booth at PAX and online/in-stores September 3rd. Chuck Finley Mustache News Reporter. Alphathon Survivor. Professional Connoisseur.